James H. Diaz, MD, MPH, DrPH, is a Professor in the School of Public Health, where he directs the Environmental/Occupational Health Sciences MPH program. In addition, he is an Assistant Professor in the Department of Family Medicine, where he directs the newly created Family Medicine/Preventive Medicine Residency Program. After receiving his MD from Tulane University School of Medicine in 1975, Dr. Diaz attended the Tulane University School of Public Health, where he earned an MS in Health Administration, a DrPH of Public Health in Health Systems Management, and a master’s degrees in Public Health and Tropical Medicine. He served residencies in General Surgery at Ochsner Clinic, and Obstetrics and Gynecology and Anesthesiology at the University of Colorado Health Sciences Center in Denver. He completed a fellowship in Pediatric Anesthesia, Critical Care Medicine, and Chronic Pain Management at the Children’s Hospital of the University of Colorado in Denver. He also completed a residency in Preventive Medicine at Tulane Unniversity. He is board certified in General Preventive Medicine and Public Health, Anesthesiology, Critical Care Medicine, Pain Management, Occupational Medicine, and Medical Toxicology. 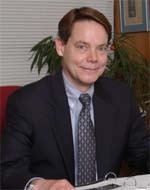 A Fellow of the American College of Occupational and Environmental Medicine, the American College of Preventive Medicine, the American College of Anesthesiologists, the American Academy of Pediatrics, the College of Chest Physicians, and the Society of Critical Care Medicine, his research interests include cancer pain management, radiation-induced cancers, and occupational and environmental carcinogens. He recently completed a training program in Radiation Accident Management at the Radiation Emergency Assistance Training Center, Oak Ridge National Nuclear Facility, Oak Ridge, TN.